Vitamin C is usually the first vitamin that we turn to when we feel a cold coming on. Regardless of whether it’s from additional oranges or vitamin C supplements, it’s widely accepted that vitamin C is good for our immunity. But is that really true and just how much vitamin C do you need in order to fully benefit? And can you survive the winter without supplementing your vitamin C intake at all? Do I have a vitamin C deficiency? Why is extra vitamin C beneficial? 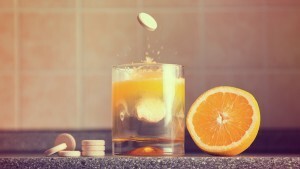 Will I avoid colds if I take vitamin C? How much extra vitamin C do I need? What type of vitamin C should I take? What are the finest natural sources of vitamin C? The UK recommended daily allowance (RDA) for vitamin C is 60 milligrams per day – an amount that can be obtained from consuming just one orange and one serving of vegetables. Which means the likelihood that you’re suffering from a vitamin C deficiency is minimal. Indeed, a real lack of vitamin C is rare in European countries (Mensink, 2013) . However, there are several indications that a substantially higher dose of vitamin C is beneficial. The RDA is actually based upon obtaining sufficient quantities of vitamin C to prevent diseases, such as scurvy. But that says little about the optimal quantity required by your body. A lack of vitamin C also manifests in more common symptoms, including bleeding gums, bruising and susceptibility to infections (such as colds and influenza). These are all signs that your body requires more vitamin C than it currently has at its disposal. And, as we often receive less vitamin C via our food and our immune system is already weakened due to a lack of vitamin D in winter, the chance of this happening during the colder months is greater. Instead of merely striving to prevent a vitamin C deficiency, it’s far better to determine the optimal amount of vitamin C that will benefit your body. Vitamin C is extremely important for your immune system. It plays a role in the formation of antibodies and the neutralisation of toxic substances caused by viruses and bacteria. Infectious diseases, allergies, autoimmune conditions, and injuries are all caused by so-called free radicals, molecules that don’t contain an electron. Vitamin C is one of the best substances for cleansing your body of free radicals (Szent-Gyorgyi, 1978) . Large amounts of vitamin C neutralises free radicals, kills viruses and strengthens the immune system (Van Straten, 2002) . Which is why orthomolecular medicine recommends that you take 2000 mg of vitamin C per day; some 33 times more than the RDA. Although this might sound extreme, there’s a plausible case for it. In contrast to most plants and animals, we humans are unable to manufacture vitamin C ourselves. If we had the enzyme necessary for this, then (based on our body weight) we’d be able to produce 3 grams of vitamin C per day. That’s a staggering 50 times more than the current RDA. Your need for vitamin C increases dramatically when your body is sick, particularly with an infectious disease. That’s why you excrete less vitamin C via your urine when you’re ill. Your body absorbs as much vitamin C as required, which is apparently more during periods of illness. The sicker you are, the more vitamin C you need to neutralise the damage caused by free radicals and the more vitamin C your body can tolerate. Disease actually leads to a temporary form of ‘scurvy’ – vitamin C deficiency – a state in which the body rapidly consumes its own free radical cleansers. Your white blood cells (leukocytes) also use a lot of vitamin C in the repair of damaged tissue. Thus your body requires exceptionally high doses of vitamin C for self-healing, and during periods of injury or infection. Sufficient vitamin C may be beneficial in more than 30 diseases and extends lifespan. 500 mg per day delivers a 42% improvement in heart disease and lowers the risk of mortality by 35% (Levy, 2002) . Recent research additionally reveals that long-term supplementation with high doses of vitamin C can lead to a better preservation of the thymus and immune cells during aging (Uchio, 2015) . Your body also requires more vitamin C than normal during times of stress. Animals that are being hunted, for example, produce extra vitamin C. Indeed, Vitamin C appears to be a universal anti-stress factor. The adrenal glands contain more vitamin C than other bodily tissue, because it is actively involved in the production of adrenaline. As stress exhausts the adrenal glands via the loss of vitamin C, taking additional vitamin C is a simple method of helping to prevent adrenal exhaustion. Studies have been conducted into the effects of vitamin C on colds since the 1940s. In 1970, Linus Pauling published the book ‘Vitamin C and the Common Cold’ in which he argued that a daily vitamin C intake of 3000 mg reduces your risk of colds. The scientific community, however, still questions his conclusion. A comprehensive review of 29 studies showed that supplementation with amounts of up to 2 grams of vitamin C per day resulted in only a 5% reduction in the likelihood of getting a cold. Only those who performed regular strenuous exercise, such as marathon runners and skiers, could benefit from a more significant reduction (50%) (Douglas, 2006) . However, a more recent study of men with a suboptimal vitamin C-status (no deficiency), suggests that a daily vitamin C intake of 1000 mg decreases the chance of common colds by 45% and additionally decreases the duration of the infection by 59%. The results of this study show that supplemental vitamin C is, indeed, beneficial. Not only for those who are vitamin C deficient; but also for those at a suboptimal blood level (Johnston, 2014) . In another large study, adults given a single dose of 8 grams of vitamin C on the first day of their cold, recovered more quickly; a half dose had half the effect. Those taking vitamin C supplements also experience less severe cold symptoms (Hemilla, 2013) . Pulmonologist, Dr. F.R. Klenner, successfully treated many patients using large amounts of vitamin C. When using 10,000 mg of vitamin C per day for colds for example, his patients witnessed a success rate of up to 90%! (Klenner, 1951) . The amount of additional vitamin C that the body requires to help fight infection varies per person. American internist, Robert Cathcart, discovered that bowel tolerance is a reliable measure. In other words; the amount of vitamin C that can be consumed without triggering diarrhoea, which usually only occurs after consuming more than 10 grams per day. In fact, most people can tolerate a few grams of vitamin C per day without problem. That’s because your body simply excretes any surplus vitamin C via your urine, a process that offers its own advantages. Indeed, vitamin C turns your urine acidic, which is particularly useful for those suffering from bladder infections, as the bacteria that cause them are unable to survive the acidic environment. With small doses of 30-180 mg per day, vitamin C absorption is generally said to be approximately 70-90%. At higher doses of more than 1000 mg per day, this absorption decreases to 50% and the rest is excreted via the urine (Jacob, 2002) . If you are sick or stressed, however, your body will require more vitamin C and will therefore absorb more. On average a healthy person can tolerate 10 to 15 grams of ascorbic acid per day, those suffering from a mild cold, 30 to 60 grams, and those with a severe cold,100 grams. For optimal absorption, it’s recommended that you spread your vitamin C intake over the day, preferably taking it at mealtimes, rather than consuming it in one large dose. If you wish to optimise your vitamin C levels, then it’s important to choose a natural form of vitamin C. Most supplements contain ascorbic acid – an unnatural form of vitamin C that’s manufactured from corn syrup using a chemical process. 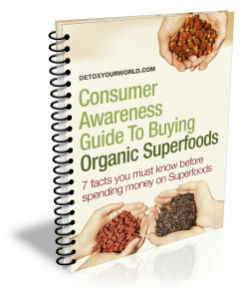 Yet because ascorbic acid appears so similar to natural vitamin C, government agencies worldwide have determined that it may simply be referred to as vitamin C.
There are also other important reasons for choosing a natural source of vitamin C: chemical ascorbic acid kills gut bacteria, which can seriously compromise the intestinal flora (Morrison, 2001) . This can in turn lead to digestive problems and undermine your entire immune system. And, as the stomach lining cannot generally tolerate the high acidic content of chemical vitamin C tablets, they often result in unwelcome stomach complaints. Higher doses of vitamin C create the optimal environment for cell growth and repair, and additionally promote the self-healing capability of your body. The finest source of natural vitamin C is camu camu berries. These powerful little berries boast up to 2 grams of vitamin C per every 100 grams of fruit. Based on weight, that’s 50 times more than an orange! Organic camu camu powder can be readily sprinkled over your favourite breakfast granolas or stirred directly into green smoothies. Avoid mixing it into warm dishes, such as porridge, as heating destroys vitamin C. These days, vitamin C supplements containing natural vitamin C from camu camu berries are commonly available. Tags: best natural sources of vitamin C, buy natural vitamin C online, Do I have a vitamin C deficiency?, How much extra vitamin C do I need?, should you take more vitamin C in winter?, vitamin C for colds, vitamin C RDA, What type of vitamin C should I take?, Why is extra vitamin C beneficial?, Will I no longer suffer from colds if I take vitamin C? ← Is your vitamin C real vitamin C? Time to find out!